UFO SIGHTINGS DAILY: UFOs Over New Jersey Caught In Photo During Sunset, Aug 2016, UFO Sighting News. UFOs Over New Jersey Caught In Photo During Sunset, Aug 2016, UFO Sighting News. Here is a great close up of a metallic classic disk, which are common among the W56 alien base at Rocca Pia, and also was seen at Cape of Good Hope, all the way to a UFO I found in an Apollo 14 NASA photo. 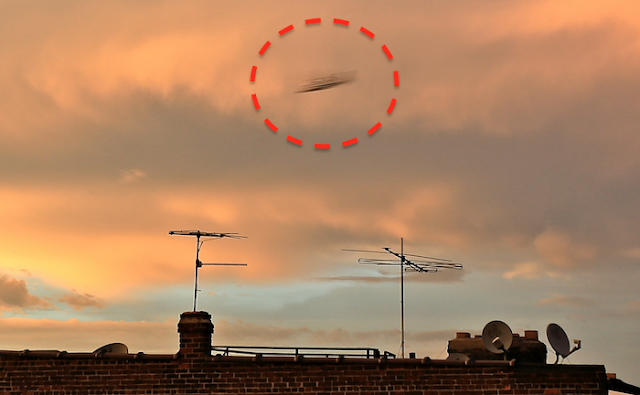 UFOs are often seen during sunset, due to the angle of the sun and the eyewitness, but this one was also seen in a storm cloud, which could mean it was causing the storm itself from its propulsion. I was on my deck, right after a rain storm, taking pictures of the skyline. I didn't see anything until I uploaded my photos and noticed a gray streak in one of the pictures. I enlarged the area and was amazed by what I saw. It was a clear image of what looked like a flying saucer. 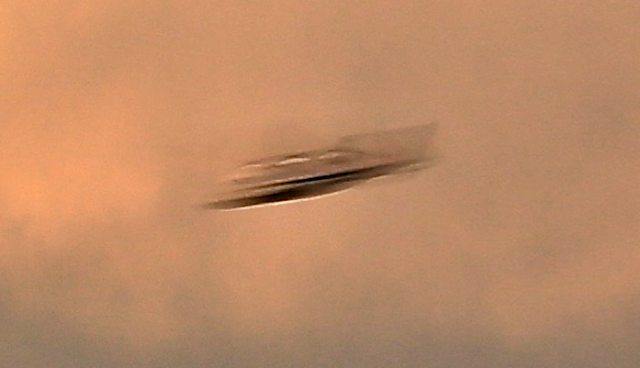 You could see three lights/windows on the top of the craft.